Friday, February 15, 3 to 6 p.m.
Wednesday, February 27, 6 to 9 p.m.
Sunday, August 11, 4 p.m.
Friday, September 6, 5:30 – 8:30 p.m.
Their weekly summer-long “music at sunset” events are not to be missed! 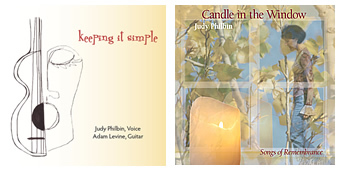 The In Time Trio (Becky Robinson, Kit Johnson, Judy Philbin) brings you an afternoon of Christmas joy. 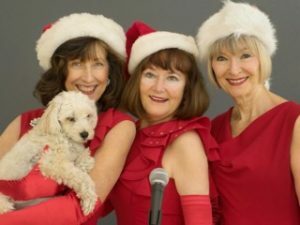 Their tight harmonies and sassy moves bring to life some of America’s best loved holiday sounds! The In Time Trio (Becky Robinson, Kit Johnson, Judy Philbin) brings you an afternoon of pure entertainment and fun. Their tight harmonies and sassy moves bring to life some of America’s best loved songs from the Andrews Sisters to the Pointer Sisters, including big band, Rat Pack, Motown, Disco and more! From the ‘Andrews Sisters to the Pointer Sisters’, let us warm your heart this holiday season! Sunday, December 18, 3 – 4 p.m.
Friday, August 19, 5:30 to 8:30 p.m.
Friday, June 10, 5:30 to 8:30 p.m.
Thursday February 11: 6:30 to 9:30 p.m.
Friday December 18, 1 p.m.
Friday, December 18, 3:30 p.m.
Sunday December 20, 4 p.m.
Central Coast Follies – California Dreamin’! Fridays, October 2 and 9: 7 p.m.
Sat/Sun, October 3, 4 and 10, 11: 3 p.m.
Saturday, August 15: 5 to 8 p.m.
Saturday, May 9, 5 to 8 p.m.
Sunday, May 17, 3 p.m.
Saturday, September 27, 7:30 p.m.
Friday, September 19, 5-7 p.m.
Sunday, September 14, 1-4 p.m.
Sunday, August 24, 3 p.m.
Friday, May 30, 5-7 p.m.
Friday, April 18, 5 – 7 p.m.
Saturday, February 15, 7:30 p.m.
Sunday, February 2, 2 p.m.
Saturday, January 11, 7:30 p.m.
Sunday, November 19, 4 p.m.